The 1.5 kilometer swim starts in the beachfront of Waterfront Insular Hotel. 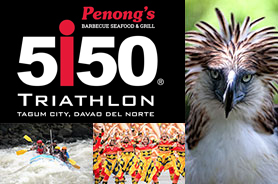 Participants will complete an “L”shaped swim course in the calm waters of Pakiputan straight. 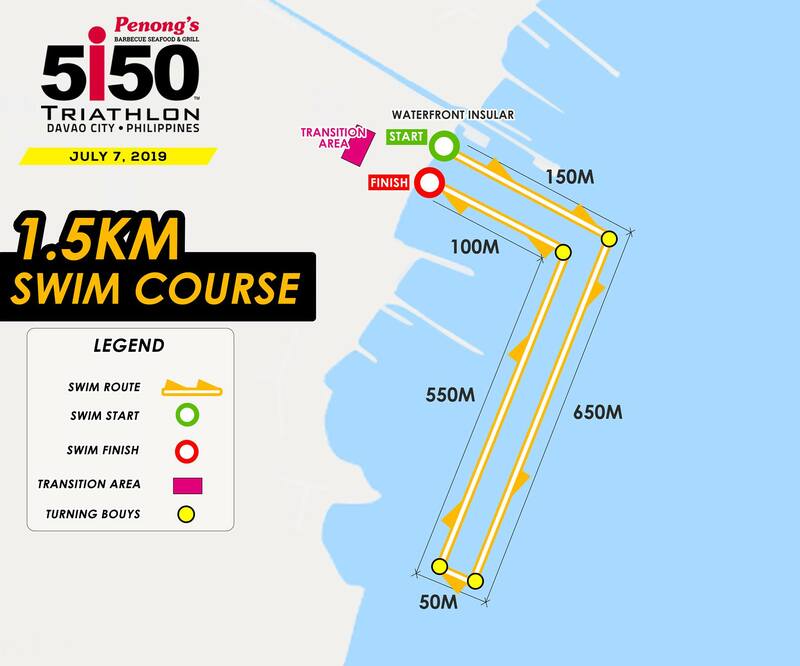 The clockwise swim course begins with 150 meters, then turn right to the 650 meters heading south before turning right 50 meters before making another right heading to the 550 meter stretch and turning left for the last 100 meters. Participants then exit the swim head to the transition area in the hotel parking lot for the bike course. 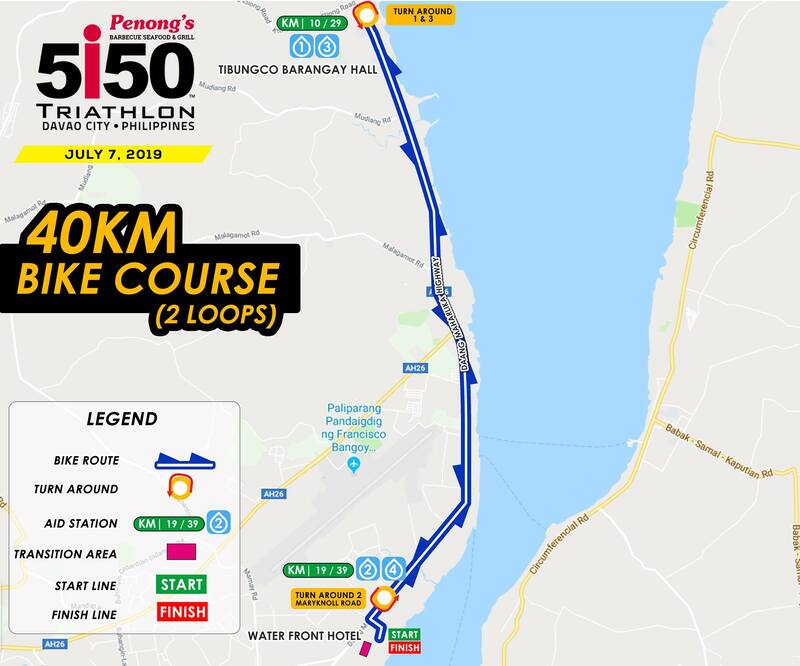 The 40km course, is a two loop bike course, participant exits transition and head towards the main road and turn right heading to Daang Maharlika Highway heading north. The long flat coastal road will make a fast and easy to navigate bike course. Reaching Barangay Tibungco, participants will make the first of three turn around. Participants will then head down south and make the second turn around just before the hotel entrance, then head back north and make the final turn around. Participants will head south and head back to Waterfront Insular Hotel to complete the bike course. The 10km run course is a flat one loop course. 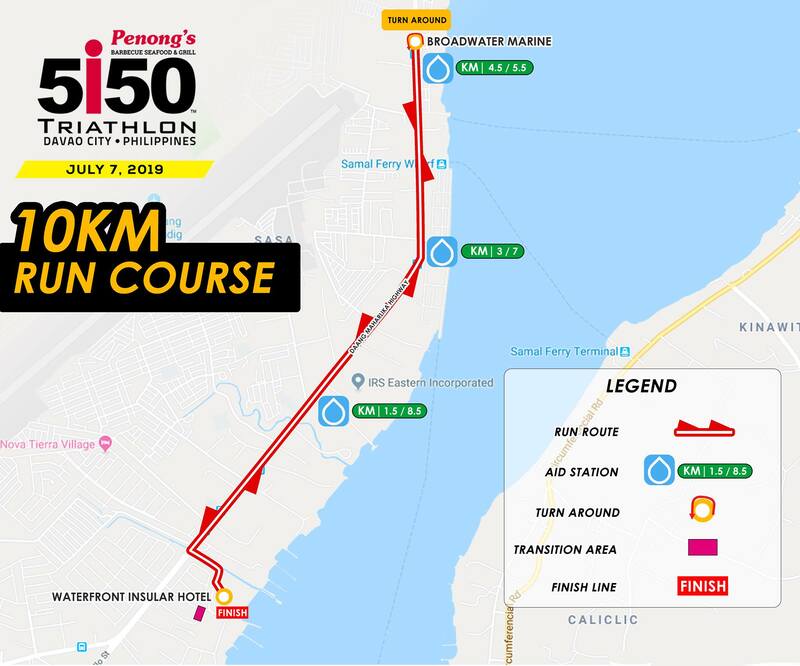 After exiting transition in Waterfront Insular Hotel, participants will turn right using the right side of the Daang Maharlika Highway heading North. Participants will make the turn around at KM 5 and head south, entering the hotel heading to the beach area for the finish line.